Iqaluit City Council narrowly voted March 10 against tax increases proposed in its 2015 budget and moved to send the budget back to the city’s finance committee of the whole. Councillors voted four votes to three against proposed increases on first reading of the 2015 mill rate bylaw. Council’s agreement on the proposed increases in January has since met sharp opposition from the Iqaluit Chamber of Commerce, which represents the interests of Iqaluit businesses. This year’s draft budget calls for increases in property taxes ranging from about 21 per cent on commercial properties, to 31 per cent on properties classified as industrial. In dollar terms, proposed property taxes range from $24.5 to almost $50 per $1,000 valuation on properties owned by businesses and institutions. Council limited tax increases on private homes to 7.1 per cent in the proposed budget — or about $15 per $1,000 valuation on a house. Coun. Kenny Bell made it clear how he would vote on first reading of the proposed mill rates in a statement before the vote. “Right now, some [businesses] are paying $600,000 in taxes, and it’s just a lot of money,” he said. The city reassessed property valuations for 2015, which resulted in an unusually steep increase to $604.7 million from $391.8 million in 2014. “If we had continually raised taxes like we should have been doing during the last couple of years — we did raise taxes, don’t get me wrong — but correctly, we wouldn’t be in such a bad situation,” Bell said. The councillor noted that the city will soon take on a new chief administrative officer to head up city administration. 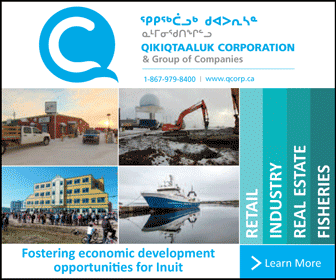 “I want to give him the chance to fix things before we slam the small businesses of Iqaluit,” Bell said. Coun. Terry Dobbin highlighted that the city has a total of about $2.7 million in unpaid property tax arrears. A public list shows more than 60 of these are for property-owners that owe more than $500 in unpaid taxes as of last July. Recovering the debt is an obvious first step to help reduce taxes on property owners who do pay, Dobbin said. Publishing the list of debtors hasn’t helped the city recover the missing taxes, he added. “Obviously the shame game is not working, so we’ve got to do something else to start collecting these tax arrears,” Dobbin said. Councillors Simon Nattaq and Noah Papatsie voted with Bell and Dobbin to oppose the proposed tax increases. Council then agreed to send the matter back to the finance committee. “Don’t come back without ideas of what you want to cut,” he said.